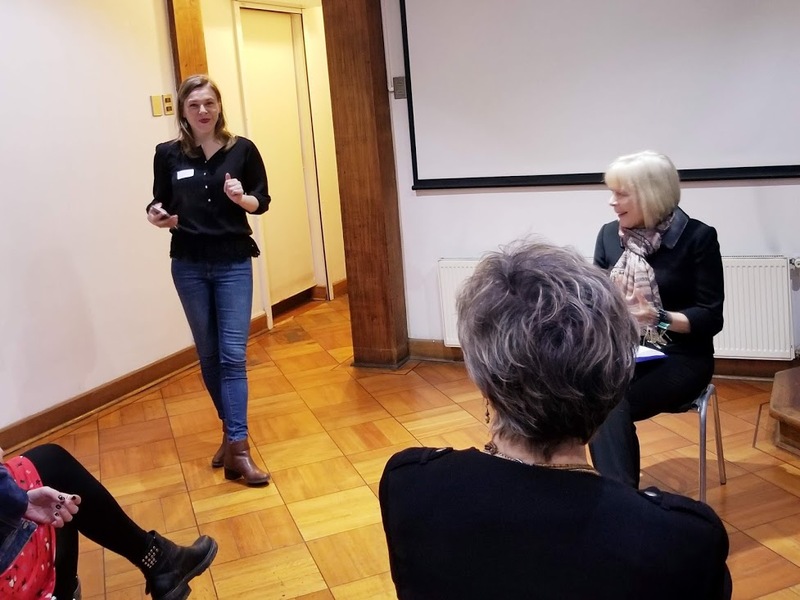 On August 28, about 30 women gathered for one of IPWA’s most exciting events of the year. 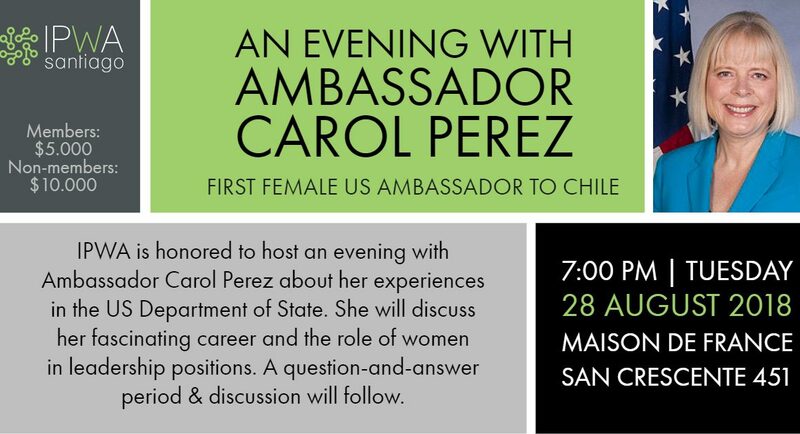 The group was lucky enough to spend the evening listening to US Ambassador Carol Perez, who shared her story about being the first female US Ambassador in Chile. 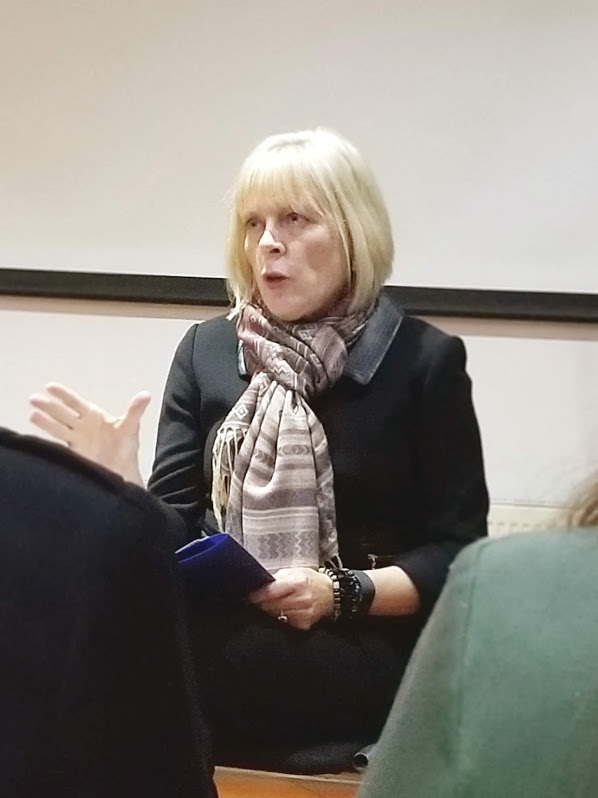 She has experienced many ups and downs, challenges, and unique hurdles throughout her career, which she shared openly with the group. 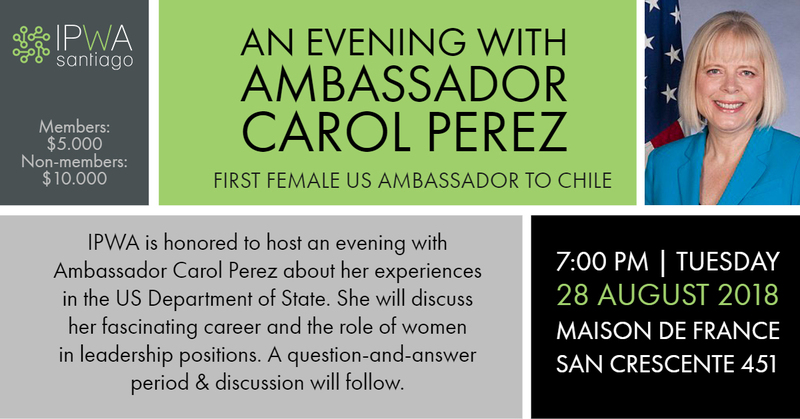 Ambassador Perez gave key advice about being a woman in a leadership role, emphasizing the importance of sponsorship vs traditional mentorship. She also urged us all to maintain strong support groups, and reminded us that we should all stay connected through IPWA. The evening ended with a very open and honest question and answer session, and I know all of us left with new inspiration to be strong women leaders. During her presentation, Ambassador Perez referenced this Harvard Business Review article for further reading.